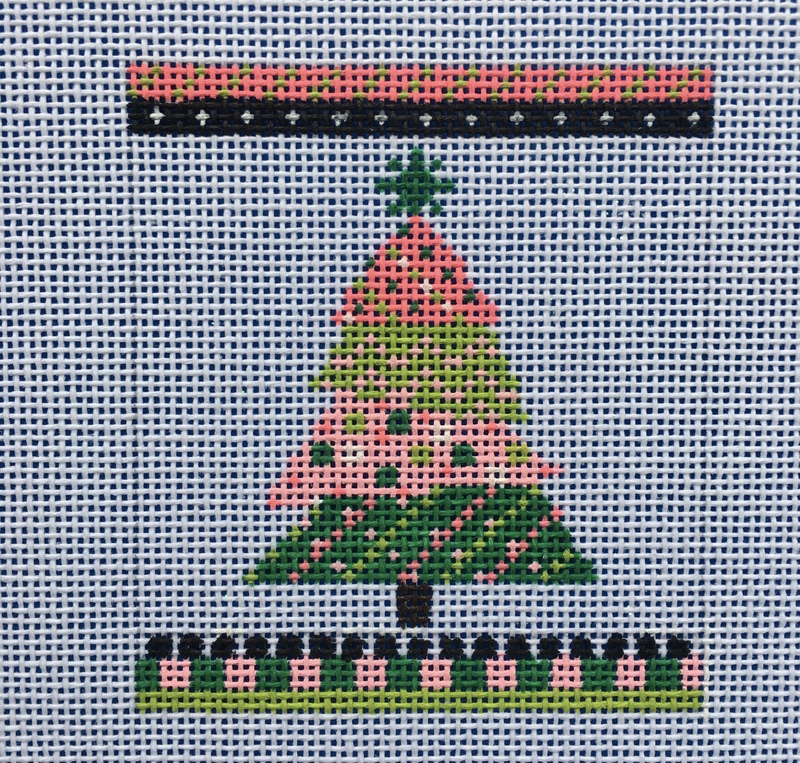 Have yourself a preppy little Christmas with this small pink and green tree. The canvas is painted on 18 mesh and is 3" across and 3.5 " down. When done it will make up into an adorable small pillow/box or Christmas tree ornament.